Earlier this month, to the dismay of the child's parents, an 11-month old baby was diagnosed with scurvy at the Hospital Universitari I Politècnic La Fe de Valencia in Spain. The surprising diagnosis underscores the risks associated with restricting infant diets to only plant-based diets. Case study authors write that this should come as a wakeup call. Scurvy is a disease most commonly associated with sailors and explorers from the 18th century, but it is actually still a present day risk for children and infants who are fed a restrictive diet. In this case, the infant developed scurvy as a severe side effect associated with improper use of almond milk as a substitute for breast milk. Pediatricians warn that such beverages are not complete foods, and should not be used solely as an alternative to breast milk or traditional formula. The infant was given cow milk for the first two-and-a-half months of his life (he was never breast-fed). The child’s parents started noticing skin rashes so the family pediatrician suggested changing the diet. At that point, the child's parents switched the infant to an almost entirely almond-based formula, being fed 30 ounces a day. Once he turned six months, old the child’s diet was integrated with puréed fruits and vegetables. For the first seven months of his life the child progressed like any other infant. It wasn’t until his eighth month that he started losing interest in social interactions and became unstable when attempting to sit. By 11 months the child was constantly tired and irritable. Parents returned to their pediatrician, saying he could not support his legs on a solid surface - upon further examination, the baby cried whenever his legs were touched. The pediatrician quickly diagnosed the child with scurvy after also noting several femur fractures (due to the low mineral density of his bones) and discovering the severe lack of vitamin C in his diet. Blood tests confirmed the doctor's diagnosis. Infants require a nutrient-rich diet of a variety of foods. Make no mistake; almond milk was not the sole cause of the infant’s scurvy and by itself it is not harmful to children. 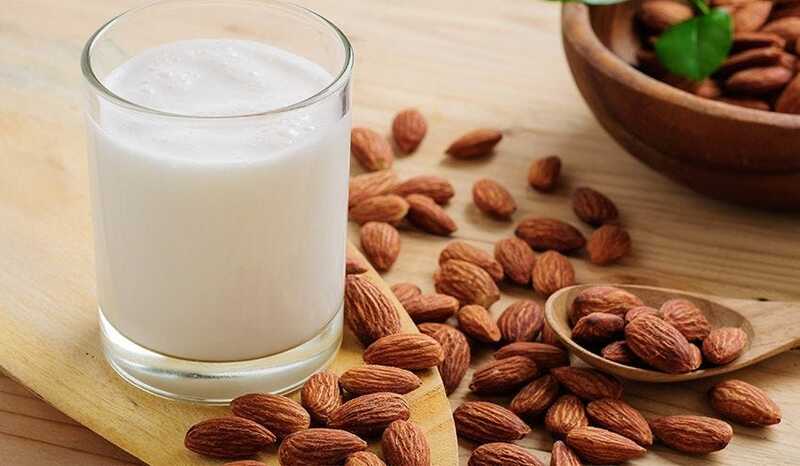 However, almond milk's industrial processing breaks down the vitamin C so it cannot be the principal component of a healthy diet - particularly in growing children. Infants and children fare very differently when given a solely plant-based diet as compared to adults. Growing bodies require other foods, such as cereals and meats, to compensate for the nutrients they need at this stage of life. The child's parents immediately switched him to a nutrient-rich diet, abandoning the almond-based formula altogether, and he started walking within two weeks. The Spanish case study workers concluded that a plant-based diet cannot suffice for children. Had the proper nutrients been integrated to the baby’s diet, the child's development would have continued as normal. View the original case study.